A bit of eye candy for you this Friday! There have been a few bundles coming in over the last several weeks. One collection that I didn't even know existed until Quilt Market was Anna Maria Horner'sTrue Colors. 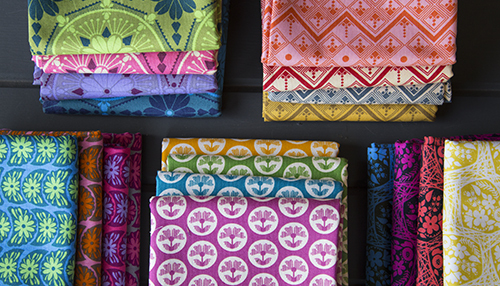 These are blenders designed by Anna Maria, made to coordinate with her fabrics. Which I love. So I had to buy these, really I had no choice! I can't wait to start working with them. I already have the quilt planned and ready - I'm just waiting for my neutral to arrive in the mail and then I will be off and cutting. Below you'll see Carolyn Friedlander'sBotanics. I bought this fat quarter set at Quilt Market and am already planning on ordering more. I love how she worked a little gold into some of the prints. Yardage will be available in December. 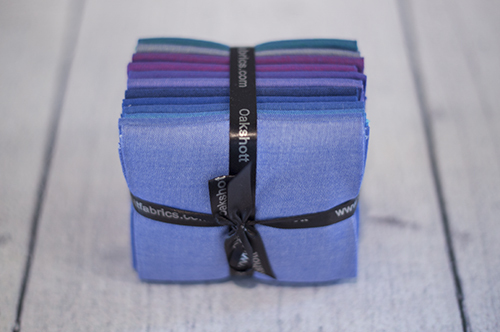 I was also lucky enough to receive a fat eighth set of Oakshott Cottons in the Lakes colorway. (Thanks Oakshott!) I loved working with these fabrics the first time around on my Nightshade quilt. They have such a great sheen. Aren't the blues pretty? You can find many of these fabrics at my sponsors. 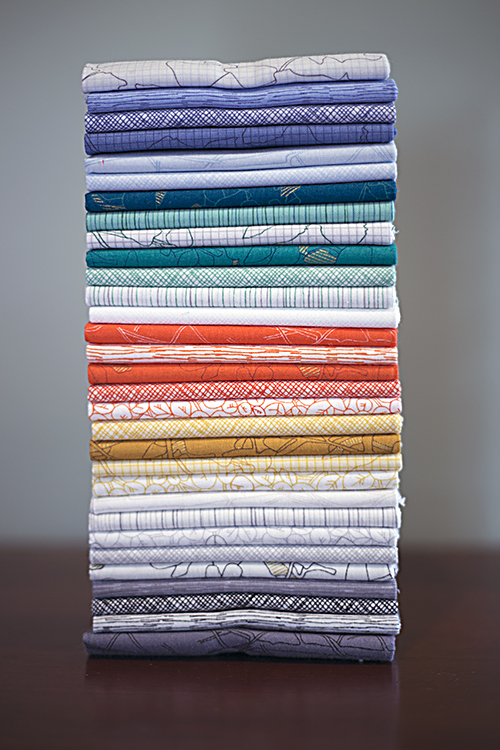 Botanics yardage is coming soon, but some shops do have precuts and preordering available. Lighthouse Quilt Along Week 3: Assemble Those Blocks!